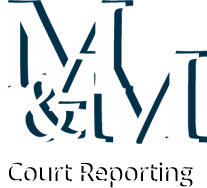 In addition to the services provided by M&M Court Reporting Service, 30 years of networking provide ancillary sources for litigation support as well. Listed below are some of our most reliable and friendly associates, just waiting to be of service to you. M&M provides litigation support from the beginning to the end of your case and can assist in customizing your office networks, supporting such programs as DocumentDirector, TrialDirector, LiveNote, InMagic/dbTextworks, and more! See inData's web site. A division of M&M Court Reporting since 1992, AccuScan provides document imaging, OCR scanning, design and reproduction of graphics, photos, electronic presentation materials, and other information management systems. Other areas in Idaho, Eastern Oregon, Eastern Washington: Email us!